Keep Kids Safe - and Learning, too! Working parents value a safe, affordable, academically rich, and fun place for their kids to go to after school. Clintonville-Beechwold Community Resources Center's (CRC) Kids Club is just the place! 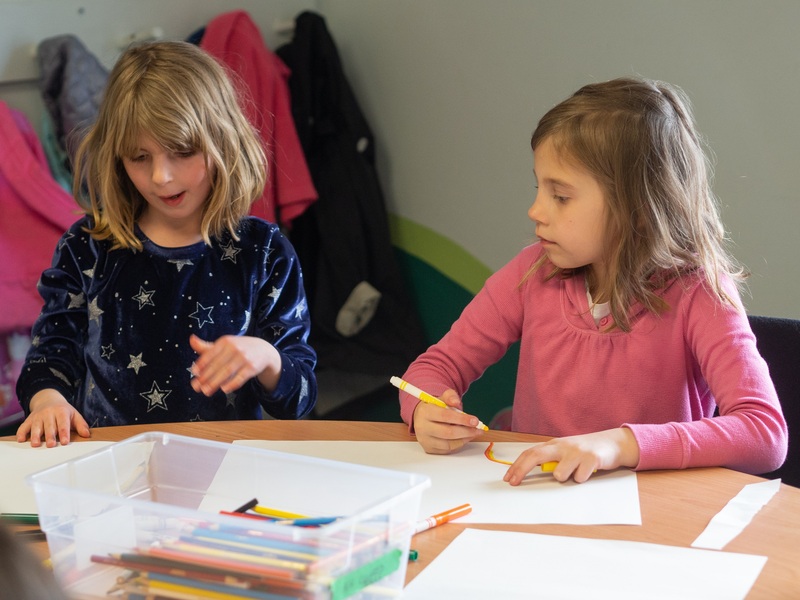 A licensed, year-round program for children ages 5-12, Kids Club is a great alternative for kids who would otherwise be home alone during the summer and after school. Kids Club is available at three neighborhood locations; however, one location that serves 30 children cannot re-open without a new fire alarm system that’s required by licensure. Clinton Heights Lutheran Church has served as a Kids Club site for 11 years, conveniently located across the street from a primary school and its playground. “Acquisition of a fire alarm is essential to meeting the requirements of our childcare license and without it CRC cannot provide vital services to the children of our neighborhood," said Bill Owens, Executive Director of CRC. This Better Together campaign can provide the $10,800 in updates that will keep children safe, happy, and learning! With a Certified Reading Specialist, weekly library trips, art instruction, nutritional and physical activities, and guest speakers and events, Kids Club helps kids be the best they can be. Ninety-four percent of parents in a 2018 survey said Kids Clubs’ academic components specifically support their child’s academic success at school.